For over 20 years A Plus Garage Doors has been repairing and replacing Garage Doors, springs, openers and cables for the New Jersey area. We’ve proudly stood by our A Plus Satisfaction Guarantee, for over 10,000 installations and thousands of more repairs. You can trust your home to our professional and certified technicians. 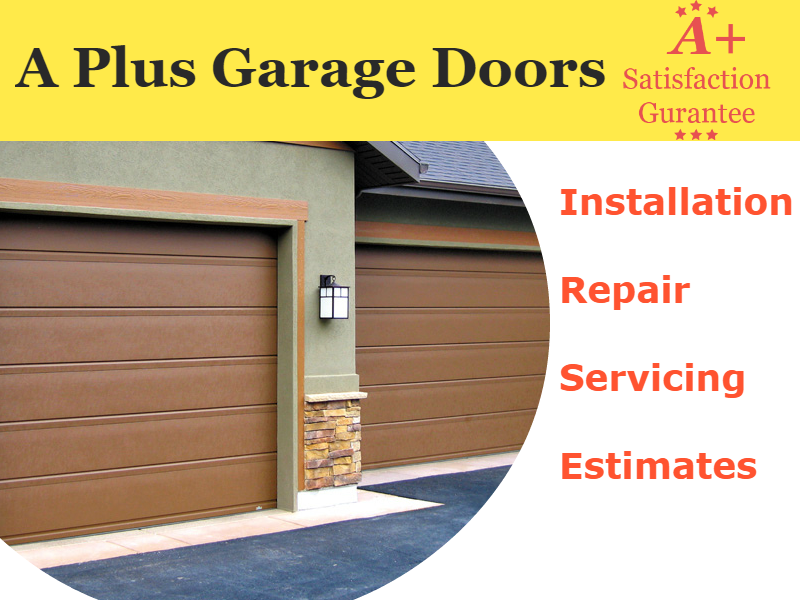 So whether your garage needs repairs, replacement or new installation, make A Plus Garage Doors your first choice. A Plus isn’t just our name it’s our motto. We aim to provide the New Jersey community with the best service anywhere. We set the bar high for ourselves because we think we’re more than just a company, we’re your neighbors. Everyone in our company knows that service is our business, and we don’t settle for less than A Plus Satisfaction, in fact, we guarantee it. We are New Jersey’s best Garage Door Servicing company, how can we help you today?